British Blues Guitar is Alive & Well! UK guitar builder Simon Raw let us know about 21 year guitarist old Mitch Laddie. Obviously cutting his teeth here on the SRV, like so many, Mitch also explores the older Blues masters while studying Hendrix and Eric Johnson as well. It's always remarkable when someone this age in this era is inspired to play guitar this way! Today's typical 21 year old musician has a myriad of avenues to explore from Death Cab to Skrillex to Jack Johnson types to Kanye West to Death Metal. 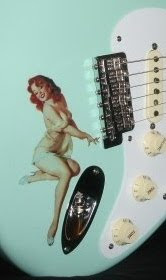 So when a young cat decides to carry the torch for electric blues, he's keeping it alive, just like Carson Brock, Davey Knowles, Sol Philcox, Josh Gooch, Fredrik Strand Halland and of course, guys a bit older like Philip Sayce, Jacob Petersen, Matt Schofield, Gary Clark Jr. & Joe Bonamassa. The *list goes on! Yes, I'd say Blues guitar has a solid future! 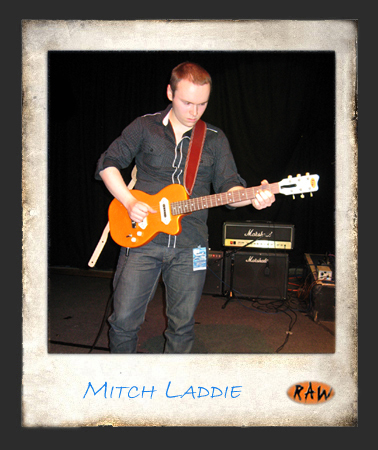 When not slingin' his Strat, Mitch likes jukin' out with his Prowler by Raw Guitars.